I had a meeting with residents of the Morven Terrace and Ancrum Place sheltered housing just before Christmas at which residents asked when the external stairwells would be repainted as part of external cyclical maintenance (ECM) works. Tenants also asked about possible insulation improvements. We are planning to commence ECM works at Ancrum / Morven at the tail end of the 17/18 Financial year and I would confirm this will include a repaint to the stairwells and landings. Unfortunately this development is of a traditional build so is not a priority for External Insulation as it will have received cavity insulation in the past. I have since been in correspondence with him regarding the properties’ Energy Efficiency Standard for Social Housing ratings to ensure all properties meet current standards. All properties meet minimum standards apart from two properties where old electric heating has since been improved with the provision of new gas central heating. I am particularly concerned to ensure end terraced properties have efficient insulation as a number of tenants here have highlighted end terraced properties appear to be less warm. A number of the sheltered tenants at the Morven Terrace and Ancrum Place sheltered housing (see right) have mentioned to me that the external stairwells are badly needing painted. I asked the Housing Department when the external cyclical maintenance programme that covers such repainting will next take place. Yesterday, I had an excellent and enjoyable meeting with the tenants of the Ancrum Place and Morven Terrace Sheltered Housing. I am very grateful to the three council officers who attended to update the attendees about the current housing rents consultation and on the consultation on 20mph speed limits in residential areas. There was a lively question and answer session and a number of other local issues were discussed and I am following up any problems raised that need attention. 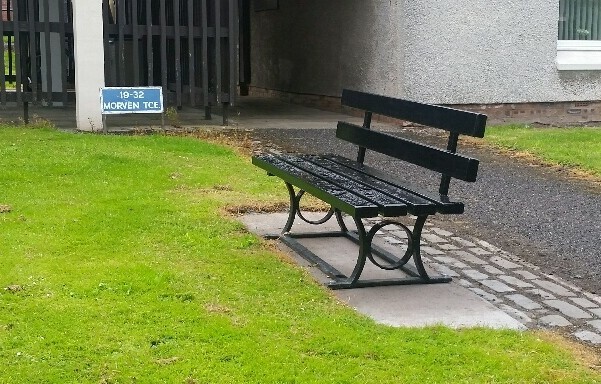 At the request of the sheltered tenants at the Ancrum Place/Morven Terrace, I asked the Environment Department of the City Council if new benches could be provided as the existing outdoor seating was in a poor state of repair. With grateful thanks to the department, new seats are now in place – one is pictured (above right). Following my request to Royal Mail for an additional post box near to the Morven Terrace/Tullideph Road junction to benefit the elderly sheltered tenants of Morven Terrace and Ancrum Place, Royal Mail has confirmed that this will be provided. “I have raised your enquiry (on behalf of your constituents at Morven Terrace and Ancrum Place sheltered housing) about additional posting box facilities in the Dundee area with our postbox strategy team. 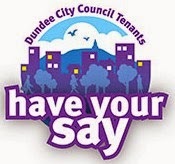 I am pleased to advise that after having taken into account all relevant factors, including the number of posting boxes in the area at the moment and the balance of economy against service provision, that we have decided to start the process to install the additional box requested. Currently the nearest post box for residents in in City Road at Saggar Street and the tenants at the Morven Terrace/Ancrum Place sheltered housing asked if it might be possible to get Royal Mail to provide a new box closer to the sheltered housing. I am therefore pleased at the positive response to my request from Royal Mail. Yesterday was a busy day with my chairing a well-attended morning meeting with residents from the Tullideph area at which we discussed numerous local issues including home energy efficiency improvements, grass maintenance, dumped items and other matters. At lunchtime, I attended a City Council briefing on community asset transfer and I thereafter chaired a meeting with residents from the Ancrum Place and Morven Terrace sheltered housing, where issues discussed included bin collections, pothole repairs and graffiti removal. I am grateful to officers from the City Council’s Environment Department who attended both the Tullideph and Ancrum/Morven meetings to discuss garden and open plan area planting and grass maintenance. After my weekly ward surgery at Blackness Primary School last night, I participated in a very positive meeting of the Friends of Riverside Nature Park at which a number of forthcoming public events were discussed, including a meadow walk on 21st June – more details to follow soon! 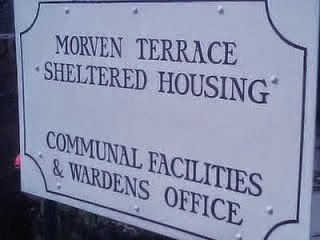 Following on from Monday’s meeting with the tenants in the Corso Street/Abbotsford Street/Abbotsford Place area to discuss rent options for 2015/16, yesterday I had the pleasure of chairing meetings at the Tullideph and Morven Terrace Sheltered Lounges at which two members of staff from the Housing Department discussed with tenants the rent options for 2015/16. We had very useful discussions on the rents issue, the sheltered housing charge and service and also other matters such as bin collections, grass maintenance and house energy efficiency/insulation.